Today I am selling a wonderful 2 band badger brush. This is made in my home state of California up in Folsom by Aldo Siu. He makes the resin handles and turns them himself and is also the first person in the USA to sort and hand tie their own badger knots. I have tried a Beehive before and loved it but sold it due to financial constraints and today I am in a similar situation. I simply like a variety of brushes but these days I stick with 3 band silver tip. Onto this brush and the details. This is 2 band hair that is different to most available 2 band knots these days. 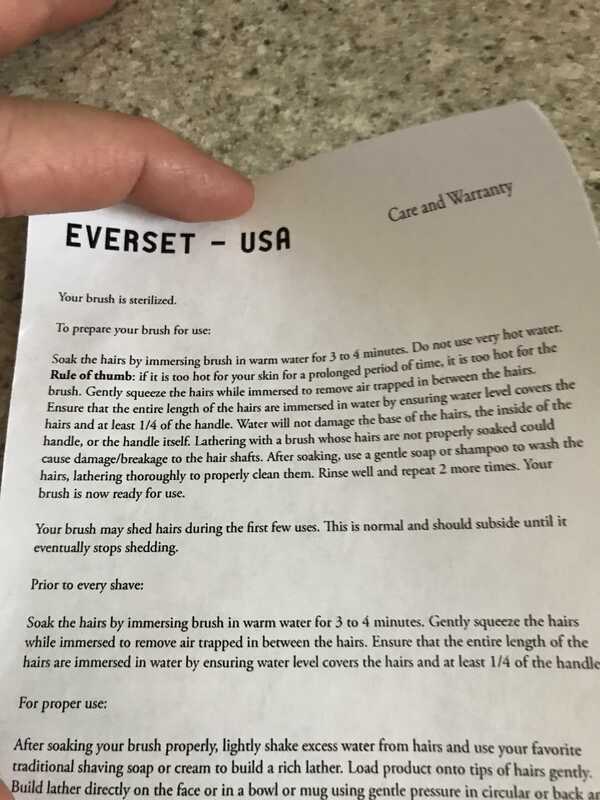 This hair to my understanding is untreated chemically, meaning it was bleached for color brightening and/or gel tip development. The tips naturally taper and give natural presence on the face. The knot hai his very well constructed and consistent. Looking at the top, there isn't a bunch of black hairs sticking out. 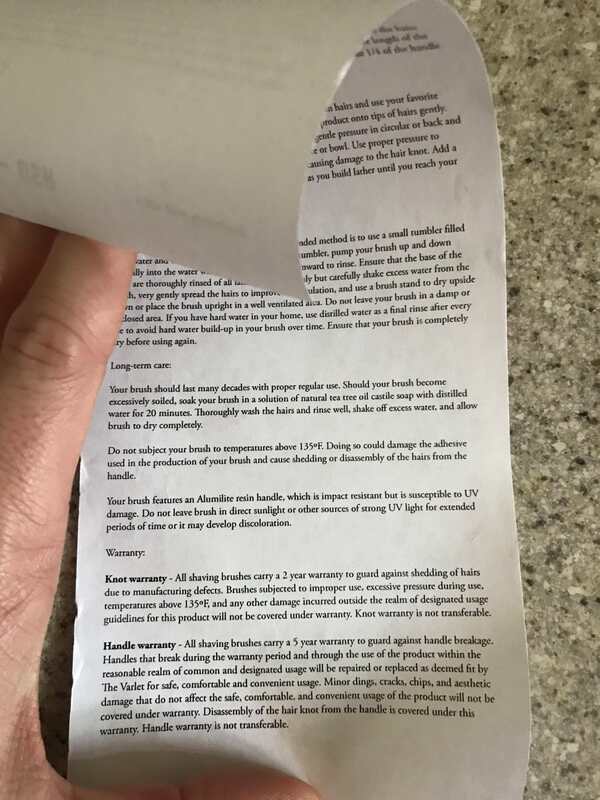 To my eye, it is a natural off white, slightly yellow color at the tips and black to slightly brownish black in the middle band. The shape of the knot is a true fan shape and has a slight curve but very little canopy height vs a hybrid fan with a very round top. It has nice splay on the skin and will release lather very nicely. Part of this is because there is no glue bump and the entire loft height is free. That means you can paint the lather onto the face and press into the deeper part of the knot without resistance. 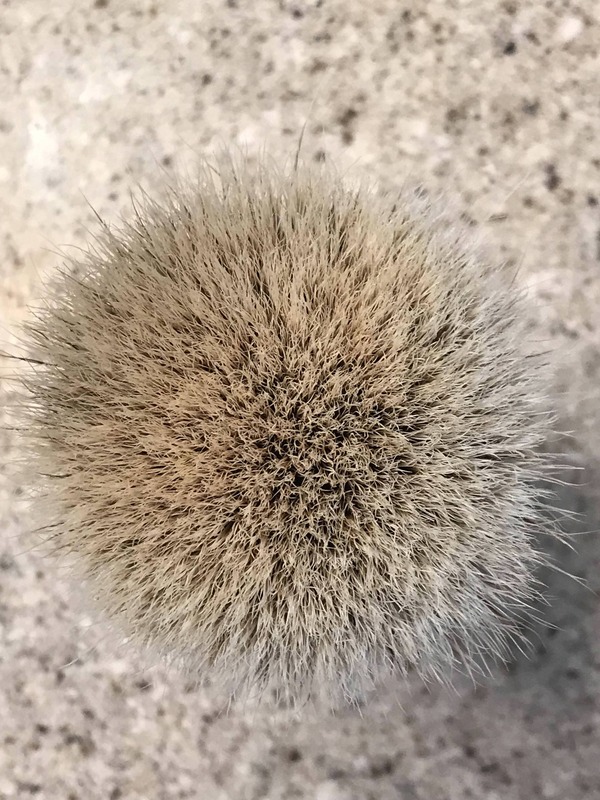 When I have used this brush, I typically load heavily, begin lathering at the tips with circles, which is still very soft. Then to begin hydrating the brush, I will add water and then begin painting. To finish, I get the painting strokes going but deeper into the knot and I am rewarded with the finer and wetter crema/lather. The price I paid was above market purchase price. 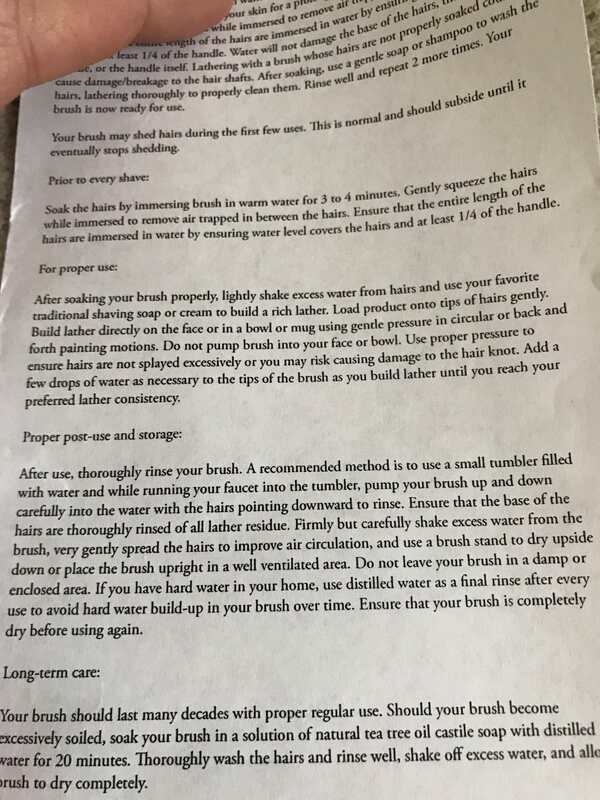 I saw it recently on a was listing and I paid the list price of $180. I did mistake and write I paid $185 which I thought I had the right memory. I started posting this ad beginning at $175 shipped. I will now update the selling, $150, shipped CONUS via USPS. 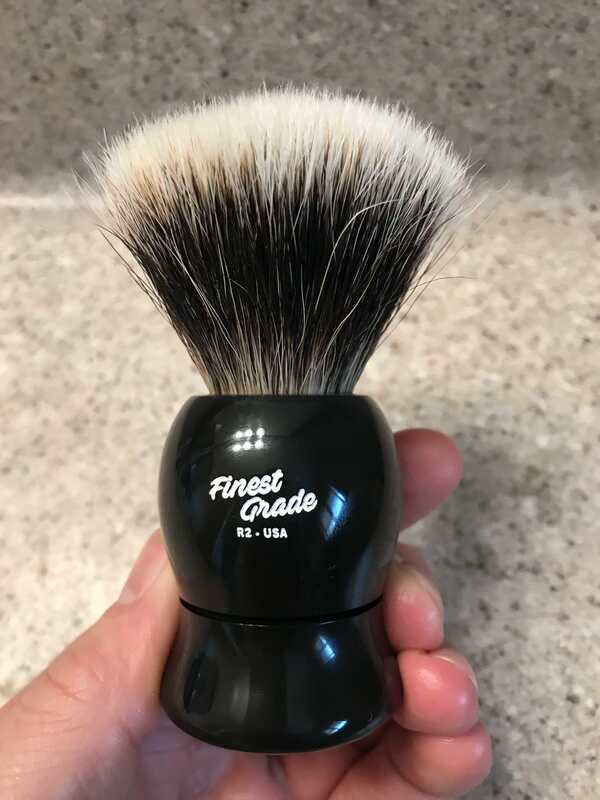 If you want this brush and are outside CONUS, please message me and we will discuss pricing options. Brush comes with original black paper/plastic tube and Everset warranty and care paper. I will package this up in plenty of bubble wrap. 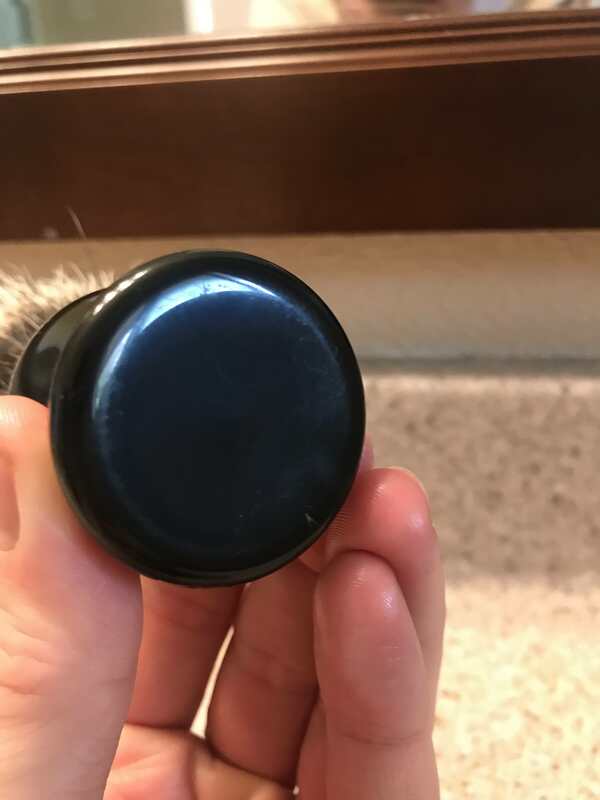 **Note: The bottom does have a ring where the handle touches whatever it rests on that you can see some markings. There is also what I think is the resin that holds white fibers or what it looks like at least. This is moreso clear on the bottom half of the handle. If you would like more pictures of this, feel free to ask. 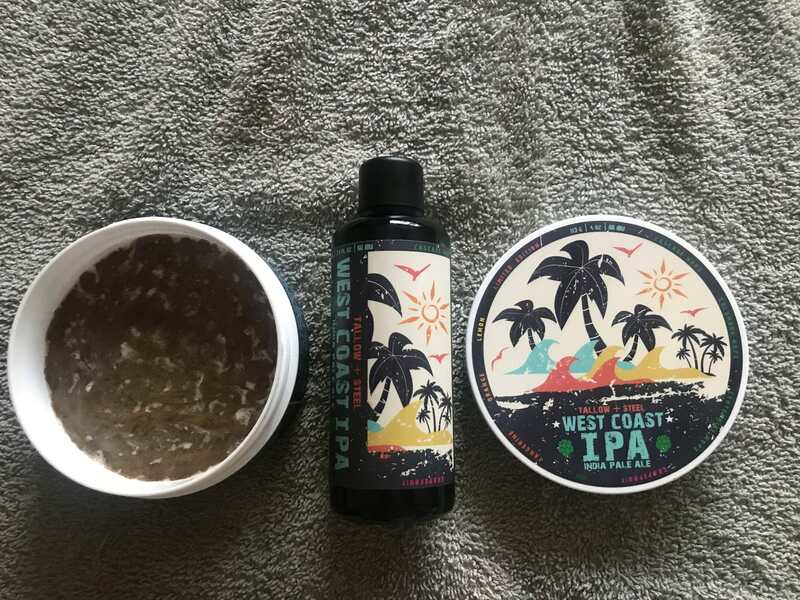 I have a pair of Tallow and Steel shave soap and aftershave West Coast IPA. 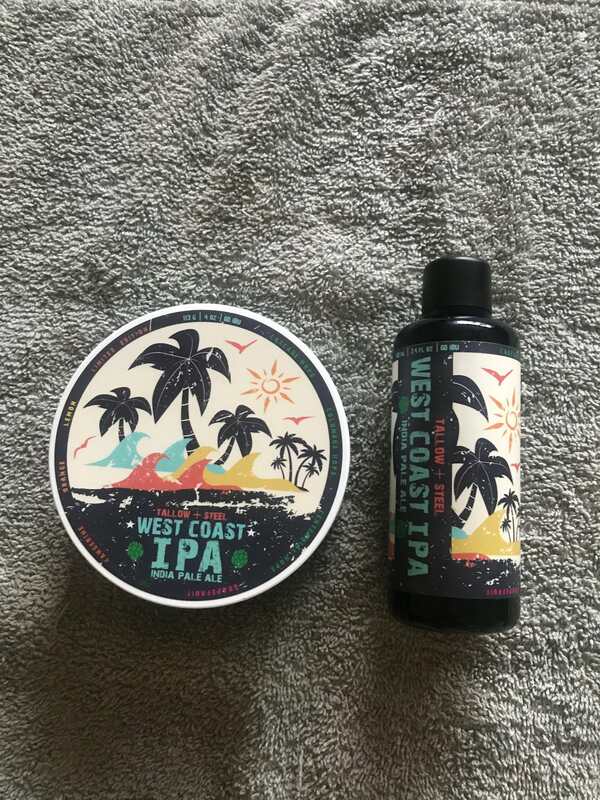 No longer available but is scented a combination of San Diego beer companies that use cascade hops, columbus hops, centennial hops, pine, and citrus notes of grapefruit, tangerine, orange, and lemon. I will ship this CONUS as a pair for $30. The aftershave has been used once and the shave soap and been used once as well. These brushes are excellent! If I didn’t have one already I’d be all over this. The buyer will not be disappointed. They’re hard to come by because 1, they’re not being produced anymore (to my knowledge) and 2, people that have them generally don’t give them up. This is a great deal GLWTS. 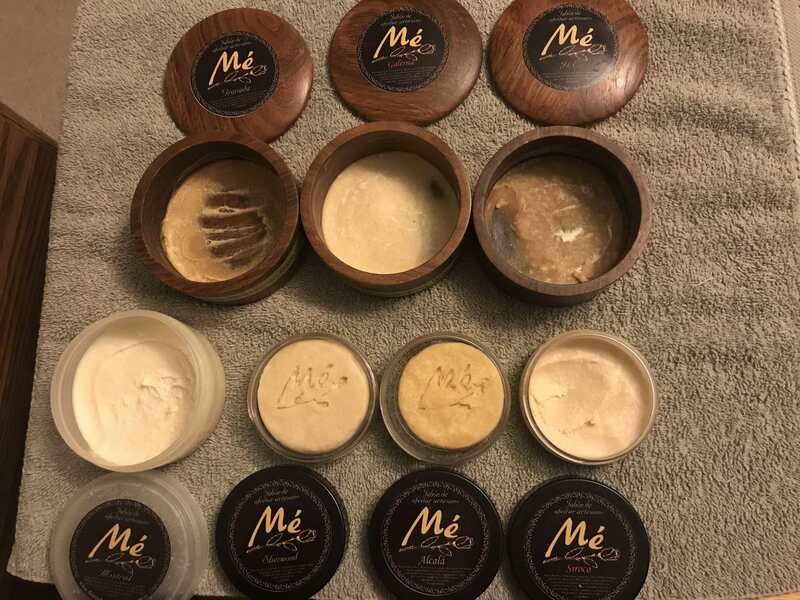 (12-11-2017, 12:47 AM)mdwolfie86 Wrote: These brushes are excellent! If I didn’t have one already I’d be all over this. The buyer will not be disappointed. They’re hard to come by because 1, they’re not being produced anymore (to my knowledge) and 2, people that have them generally don’t give them up. This is a great deal GLWTS. Thank you mdwolfie86 for your comments. I think that these are the benchmark for a well designed 2 band fan brush. If someone can get past needing a lot of backbone, they are in store for a very high quality brush. 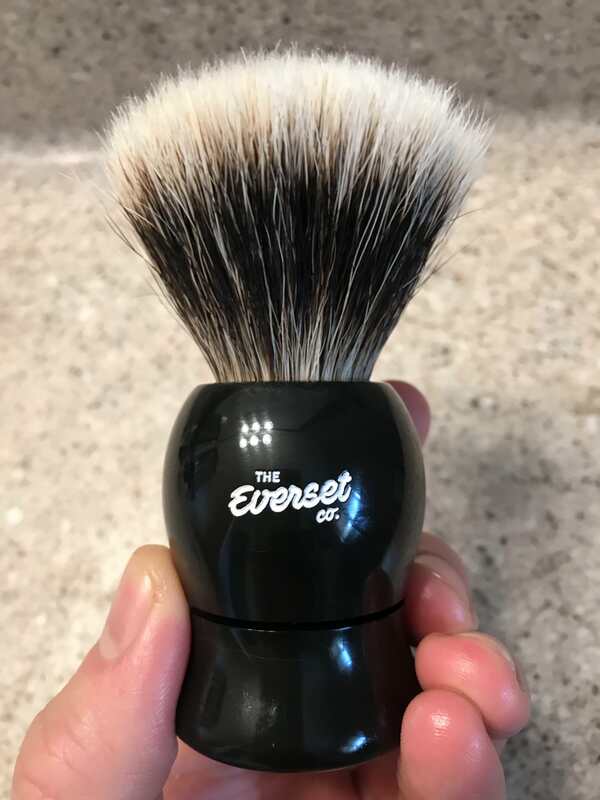 I have an Everset U-2 and it's a great brush. Someone should definitely jump on this. I updated the listing price of the brush to lower the price closer to the market price value of $150. 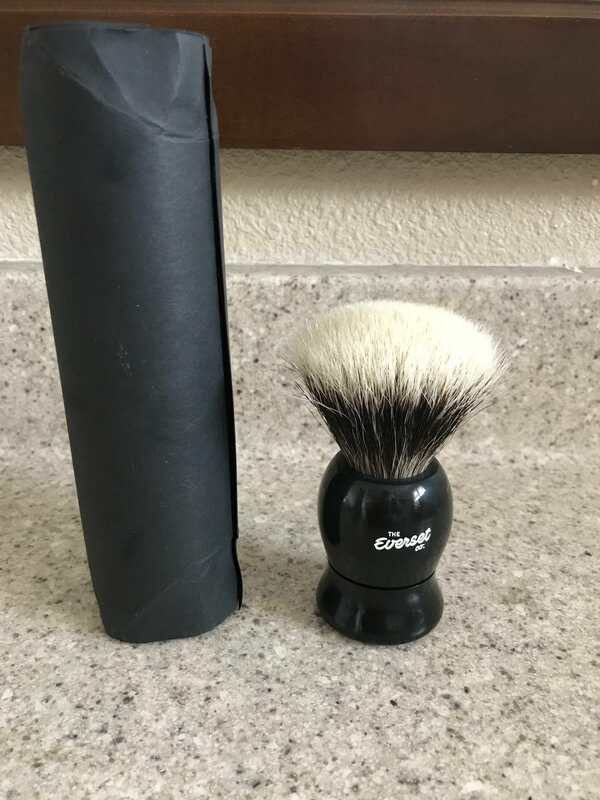 If you would like to purchase the brush for $160, I am more than happy to allow you to choose a pairing of any of the additional LPL, Mornington, or take the DE razor leather case. Thanks for reading the sale thread gentlemen. Take care and my regards. 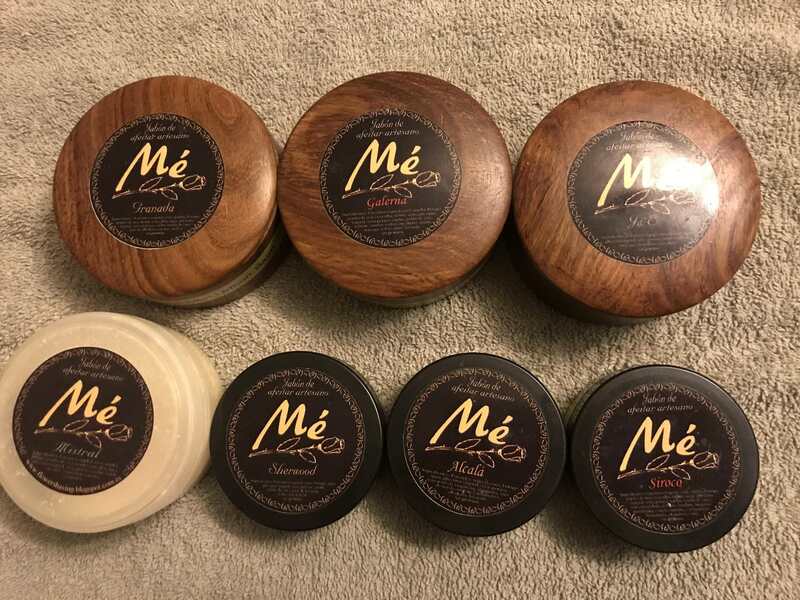 Sold Pending Funds on Mé Soap Lot, Trumper Skin Food and Tallow and Steel IPA. 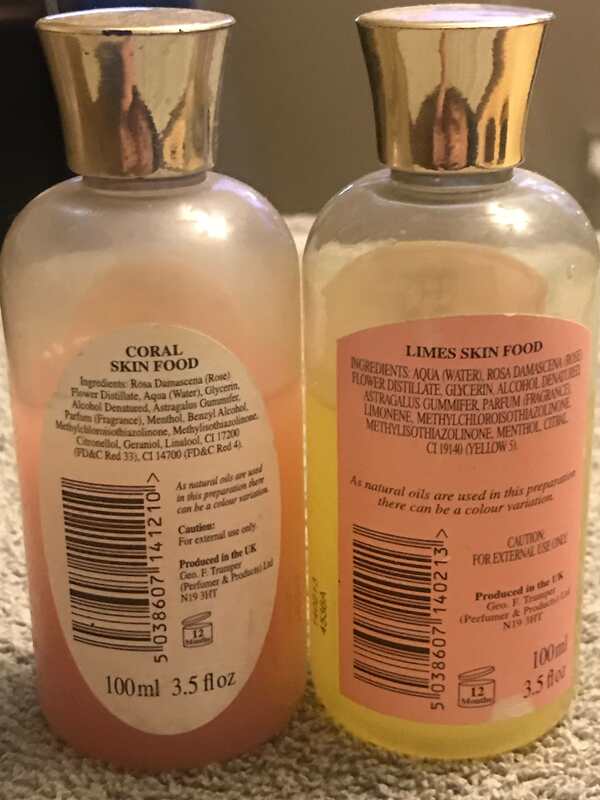 Will message and pm those who are interested in sale falls through. I'll be back later today. 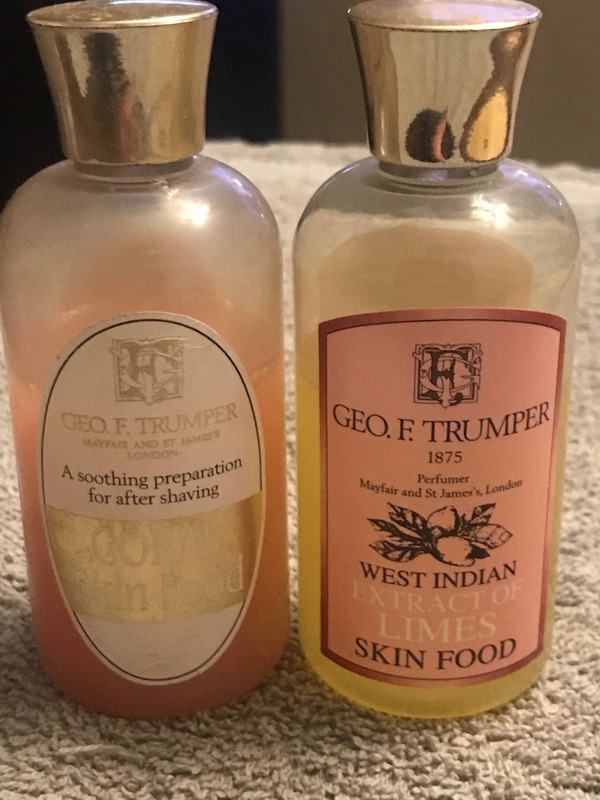 GFT Trumpers Skin Food, Mé soap lot and Tallow and Steel lot has been sold.